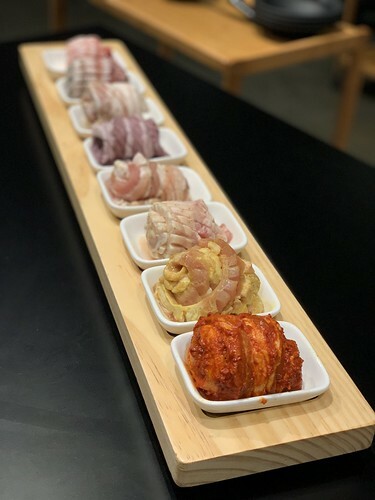 A while ago I had written about Eight Korean BBQ in Koreatown, which is known for their 8 flavors of pork belly. Well, now they've partnered up to open Porkfolio at the Arcadia's Westfield Santa Anita mall. 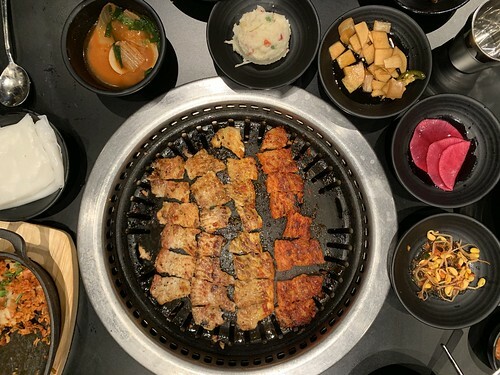 Despite the different restaurant name, you can still find the 8 flavor of korean bbq pork belly and much of the same Korean BBQ menu at Porkfolio. We got the Combo A, which comes with the 8 flavors of pork belly. The flavors are original, miso, korean red pepper paste, garlic, wine, sesame, curry, and herb. My favorite flavors are the sesame and the spicy Korean red pepper paste.